Mengunjungi Perpustakaan bagi sebagian kita masih merupakan kesempatan mewah dan langka. Perhatikan di kota kita apakah cukup terjangkau perpustakaan? atau paling tidak jam pelayanannya bersahabat? satu perpustakaan favorit saya di Jakarta, yaitu Freedom Institute di Jalan Proklamasi, ternyata harus ditutup. Menyedihkan. Di tengah serbuan bangunan-bangunan pusat perbelanjaan di ibukota, lambang peradaban kebudayaan manusia, semakin tersingkir. There's nothing on this earth like nestling into a cozy couch in the heart of a huge library, burying your nose in a book, and losing yourself in an enchanting, imaginary universe. Borrowing amazing books for free is a blessing we'll never take for granted. 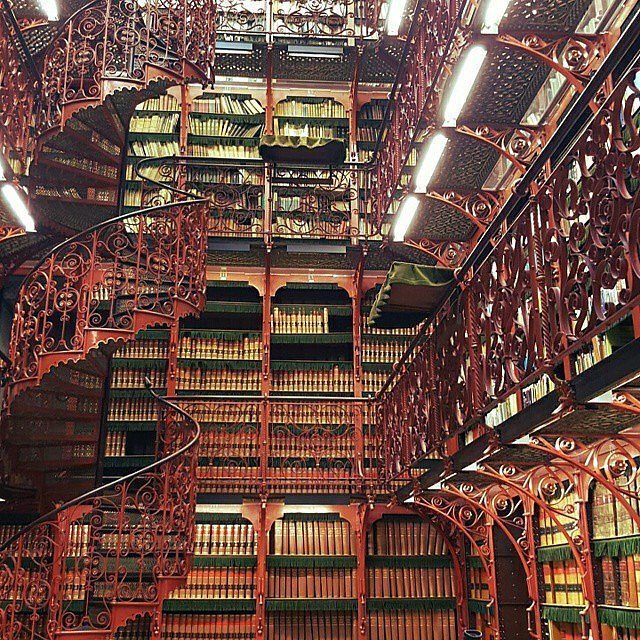 As tribute to libraries everywhere, here are 11 positively magical ones scattered throughout the world. 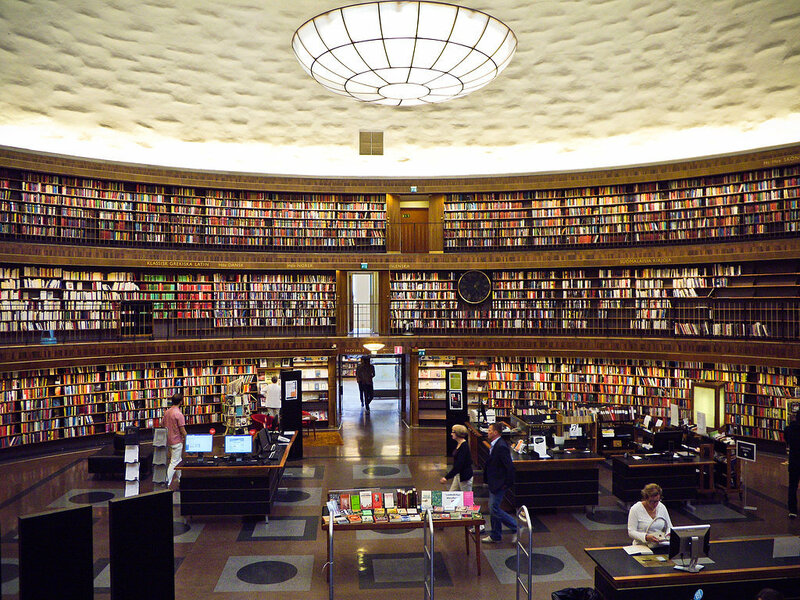 This library in Stockholm, Sweden, is one of the city's most significant structures and was Sweden's first public library to apply the principle of open shelves, where visitors could access books by themselves without the assistance of library staffers. 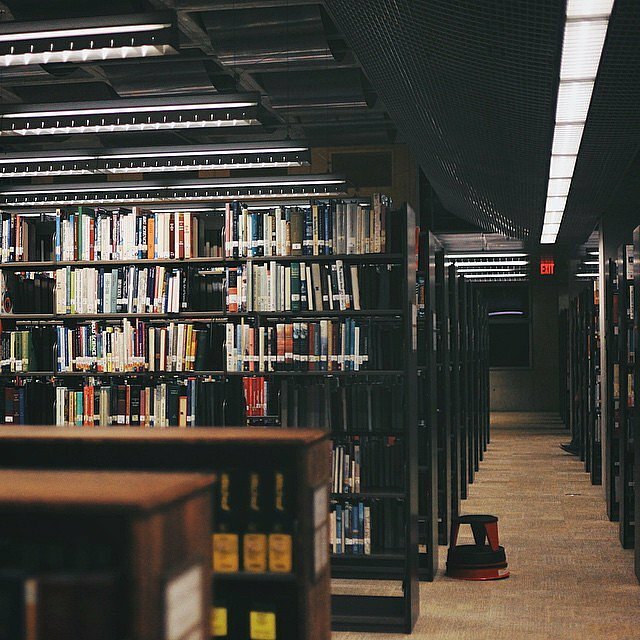 In 2014, more than 4 million books were checked out. 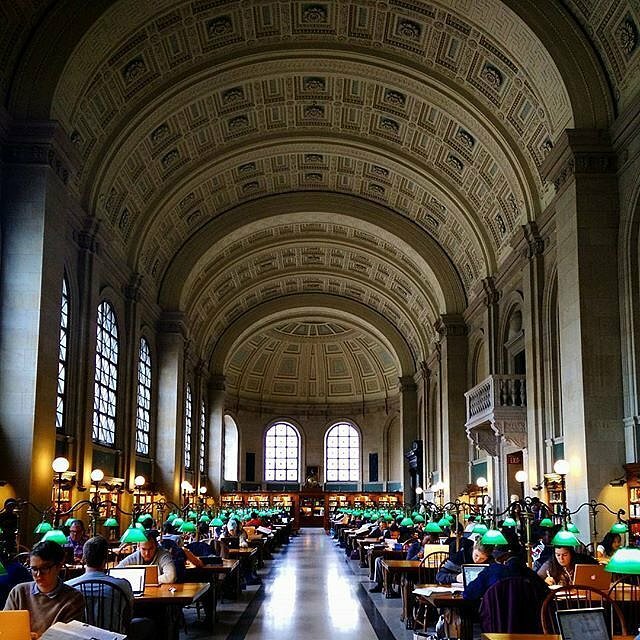 More than 3 million books and audiovisual materials were borrowed last year from the Boston Public Library, which was founded in 1848. More than 73,000 Massachusetts residents signed up for new library cards. 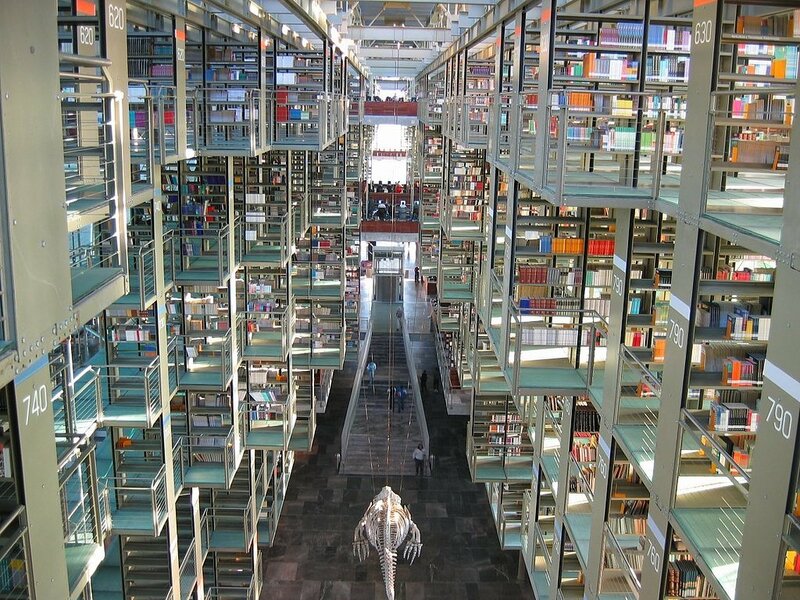 Biblioteca Vasconcelos spans a whopping 38,000 square meters, and it contains hive-like bookshelves, mismatched floors, and transparent walls, not to mention it holds more than 470,000 books. 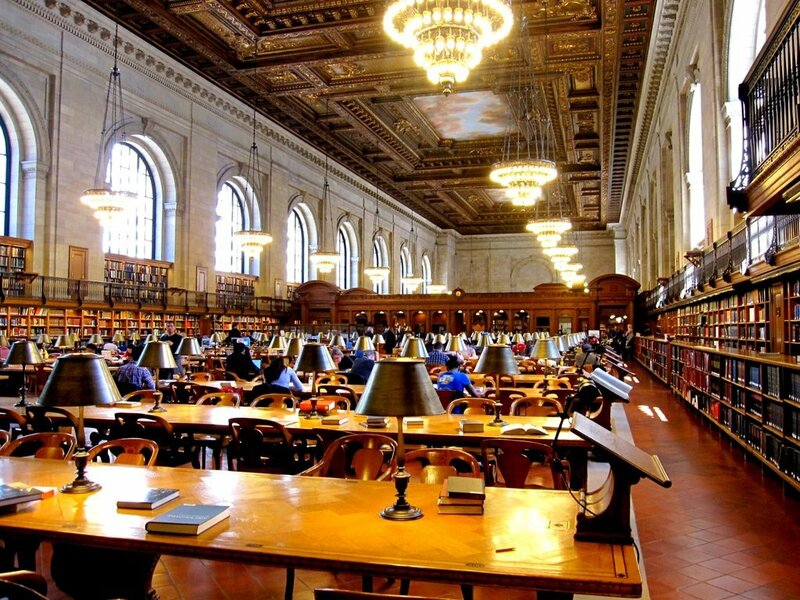 Founded in the late 19th century, the New York Public Library is the largest public library system in the United States. 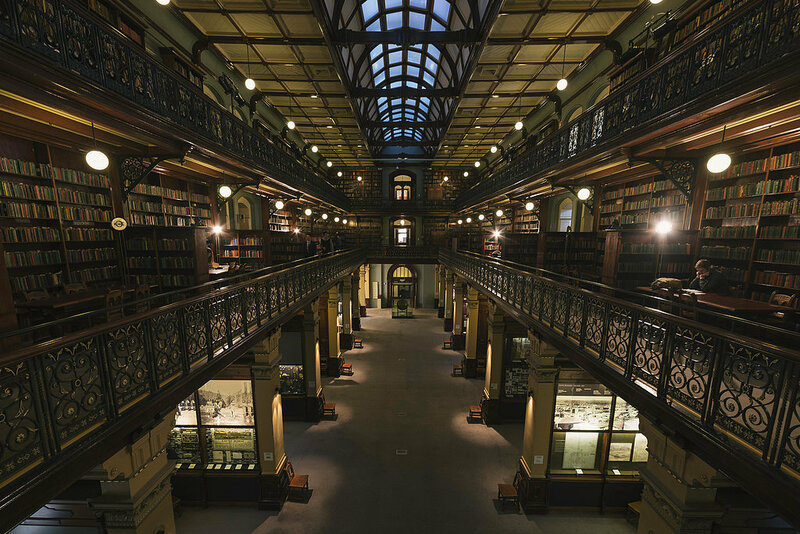 It assists more than 17 million patrons per year and holds more than 51 million items. 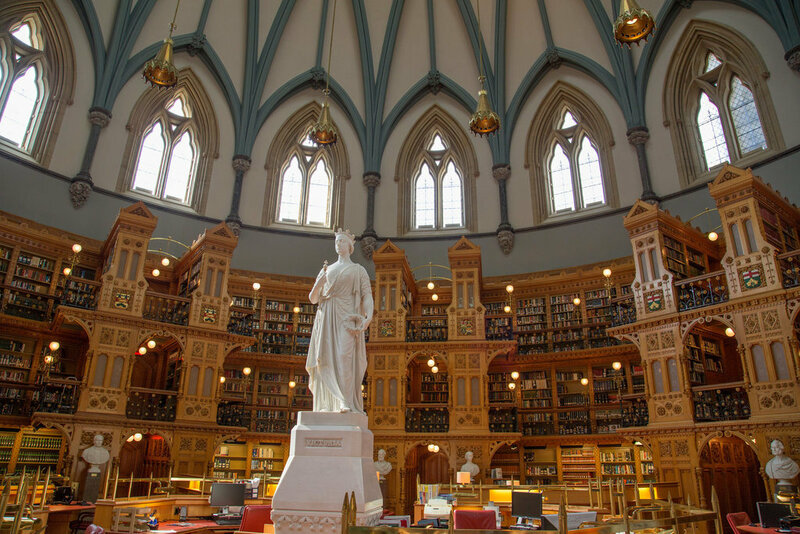 Dating back to the 1790s, the Library of Parliament in Canada is considered a Gothic revival marvel, intended to serve parliamentarians and their staff. The library has been threatened by fire on more than one occasion, the most disastrous occurring in Montreal in 1849, when a Loyalist mob protesting the Rebellion Losses Bill burned down the Legislature and destroyed 11,800 books. 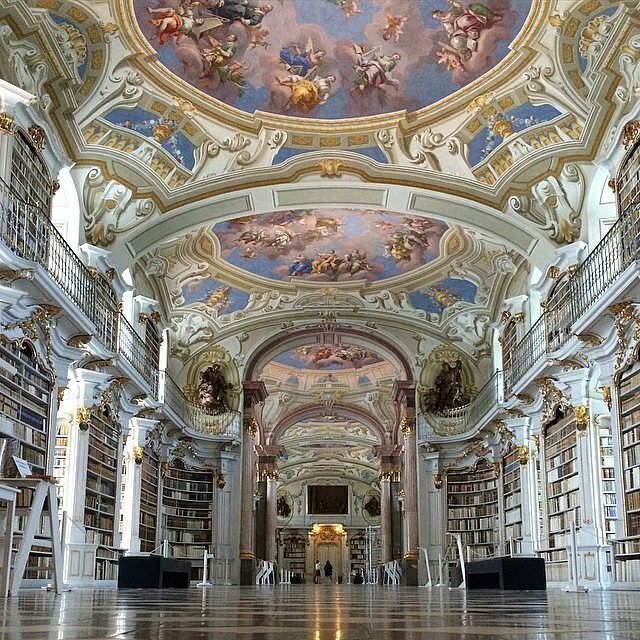 Admont Abbey was built almost 1,000 years ago by Benedectine monks. Today, the majestic library within is the largest monastery library in the world at 70 meters long. With more than 6 million visitors and more than 5 million books, the San Diego Central Library is state of the art and the biggest cultural institution in San Diego, CA, to offer free programming. 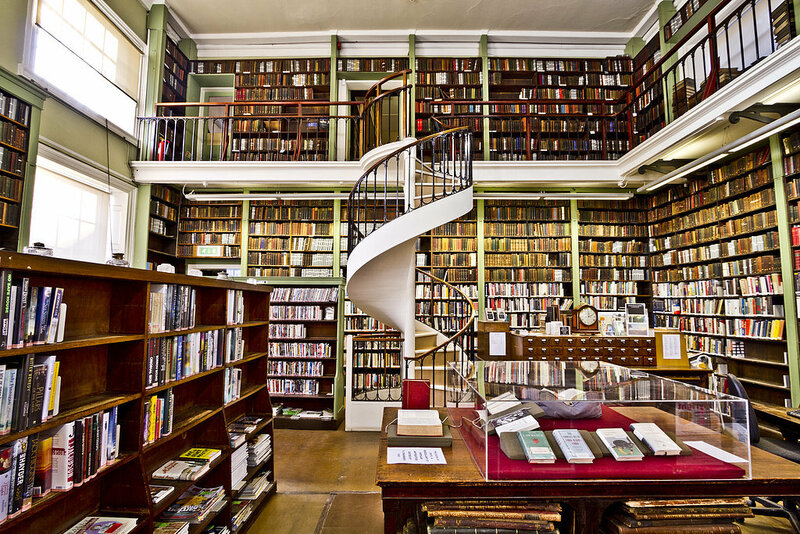 Plus, there are more than 265,000 books in 25 languages besides English. The Old Library was built in the 19th century, and since there was no electricity, the roof was constructed with a leaded glass dome to allow as much light in as possible. Although the library is four stories high, light filters through to the ground floor due to the open cast-iron staircases and balustrades. Located in the capital city of the state of South Australia, the Adelaide City Library opened just last year and is designed for communal expression with a range of programs, events, and exhibitions. With modest 18th-century roots, the Leeds Library is a captivating mix of the old and the new, with Joseph Priestley as one of its original subscribers. 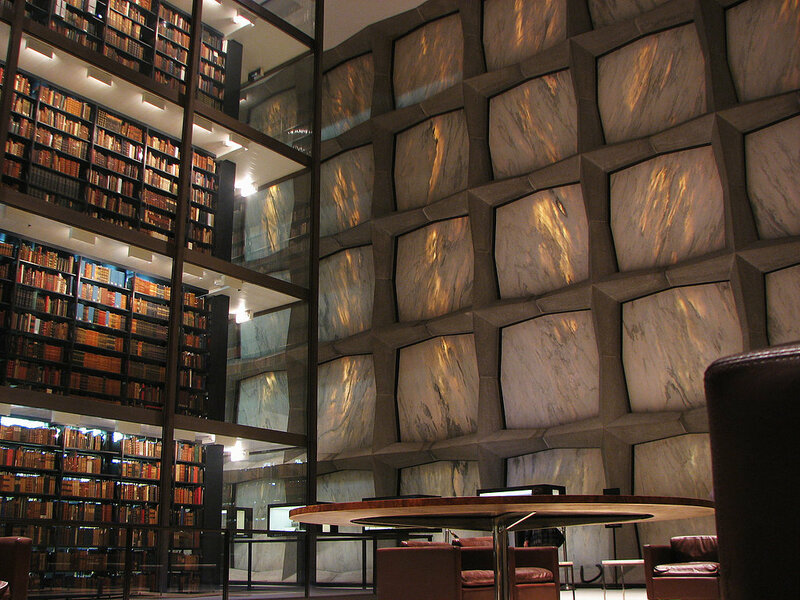 The Beinecke Rare Book & Manuscript Library claims to be one of the largest buildings in the world devoted entirely to rare books and manuscripts. Construction of the building was completed in 1963, and the library has room in the central tower for 180,000 volumes. Kece-kece ya Perpusnya. Duh pengen jalan-jalan ke salah satu perpus aja udah seneng banget kayaknya. Aku sedih juga waktu Perpus Freedom tutup karena tempatnya enak banget dan mudah dijangkau dengan kendaraan umum. Kendalanya buat pekerja kantoran klo ke perpus palingan bisanya pas hari sabtu yang notabene jam buka perpus lebih pendek dibanding hari biasa. azia wrote: Kece-kece ya Perpusnya. Duh pengen jalan-jalan ke salah satu perpus aja udah seneng banget kayaknya. di jakarta sepertinya nggak ada perpus pemerintah yang bukanya lama sih. Aku sendiri malah belum pernah yang ke Kuningan di sebelah pasar festival itu. terkesan modern ya..dibanding gedung lainnya. Aku jg belum pernah ke perpus yg di gedung nyi ageng serang itu, padahal deket sama kantorku. yang lain masih agak klasik modelnya, yang Mexico udah lebih minimalis. Indonesia butuh sebiji dua biji yang kayak gini, nih. helvry wrote: Perpus UI dan Perpus Provinsi Jawa Barat gaya minimalis bangunannya, menurutku.